This year I gave a tutorial on using the Kodo library at the NetCode 2014 conference. research on the use and implementation of Random Linear Network Codes. Find the tecnical program here. This entry was posted in Colourcast on June 27, 2014 by mortenvp. 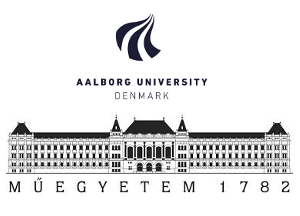 This year I will serve as the tutorial chair for European Wireless 2015. If you are interested please also consider submitting a technical paper. This entry was posted in Colourcast on March 6, 2014 by mortenvp. I will again this year serve as a TPC member for the ICC 2014 CoCoNet workshop. This entry was posted in Colourcast on January 5, 2014 by mortenvp. This fall (September 30th, October 2nd and October 4th 2013) I helped preparing and provided material for the PhD course “Network Coding: Theory and Applications” at the university of Catania Italy. You can find more information about the course on the course webpage. This entry was posted in Colourcast on October 4, 2013 by mortenvp. This summer (July 22 – August 9) we ran our mobile phone programming summer-school for students from around the world. This year we had 32 participants for the mobile phone programming track. During the three weeks the students get intensive crash course on mobile application development (this year the focus was on Android). Besides becoming familiar with various aspects of mobile programming the students also develop their own mobile applications. Typically this is great fun – and if you are interested in learning more about the upcoming AAU summer-schools or the mobile phone programming track, you can visit the AAU summer-school webpage here. This entry was posted in Colourcast on August 16, 2013 by mortenvp. The first part provides the participants with the theoretical tools necessary to understand the field of network coding and focuses on the underlying algebraic principles. 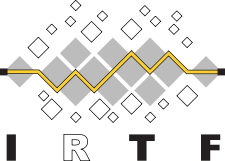 It will also introduce distributed randomized network codes and discuss their properties, including throughput, robustness, delay, and security. We will not assume any prior knowledge of advanced algebra or optimization. The second part of the PhD course gives an overview of the different application areas and discusses, which types of networking problems are amenable to network coding (and which aren’t). In particular, it covers practical algorithms for data gathering in sensor networks, routing in wireless mesh networks, peer-to-peer networking and content distribution, streaming applications, etc. The third part will discuss implementation aspects in real-world systems, ranging from core network routers all the way down to mobile phones and tiny sensor nodes. The constraints imposed by these devices in terms of available memory and computing power may differ by several orders of magnitude. As a consequence, the encoding and decoding algorithms need to be carefully adapted to the specific problem at hand. This entry was posted in Colourcast on June 15, 2013 by mortenvp. 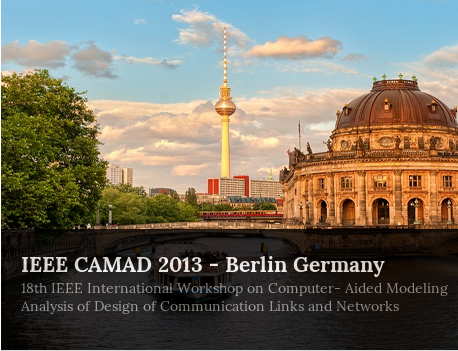 Later this year I will serve as the tutorial chair at the IEEE CAMAD 2013 workshop in Berlin the 25-27th September. More information about the workshop topics and scope can be found on the webpage. Find the call for tutorials here. If you have an idea for a tutorial which you think fits the call, please do not hesitate to send in a proposal. This entry was posted in Colourcast on April 2, 2013 by mortenvp.